I want to take this time to give you a huge "welcome" to Cheerleading University! Cheerleading University was founded to give cheerleading and dance/pom coaches an affordable and convenient way to receive coaches' training. 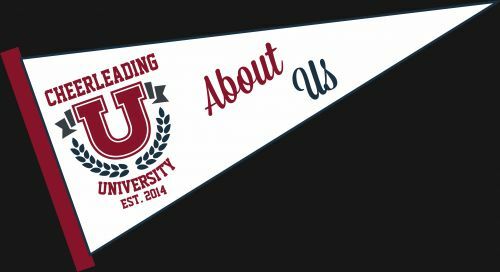 At Cheerleading University, we take our tagline of "Excellence and Safety Through Education" to heart, and firmly believe that a solid education is the cornerstone to becoming the best possible coach. We have offerings for the beginning coaches and experienced coaches alike. The information is going to be presented in a new and very clear manner, while presenting a very comprehensive curriculum. There are degree offerings as well as auditing opportunities to take courses "a la carte". Some courses will be live "hands on" learning opportunities, and other courses will be offered on line, affording you, the coach, the opportunity to learn at your own pace and on your own time. We are always looking to offer more courses, so your feedback is important to us - if there is a course you don't see offered, please let us know. Best of luck to you in your coaching career, and thank you for choosing Cheerleading University for your training needs!